The Aston Villa legend and Tottenham coach passed at the age of just 44. When Aston Villa legend and England international Ugo Ehiogu passed away at the age of just 44 the world lost not only a Premier League legend but a man who was, by all accounts, a great bloke. Ehiogu collapsed due to a suspected heart attack at Tottenham Hotspur’s training ground, where he was working as the club’s under-23 coach, and died early the next morning. In a career spanning well over two decades, Ehiogu amassed over 400 professional appearances as well as the respect of fans far and wide. He was and always will be a Premier League legend for a variety of reasons – here are just seven of them. 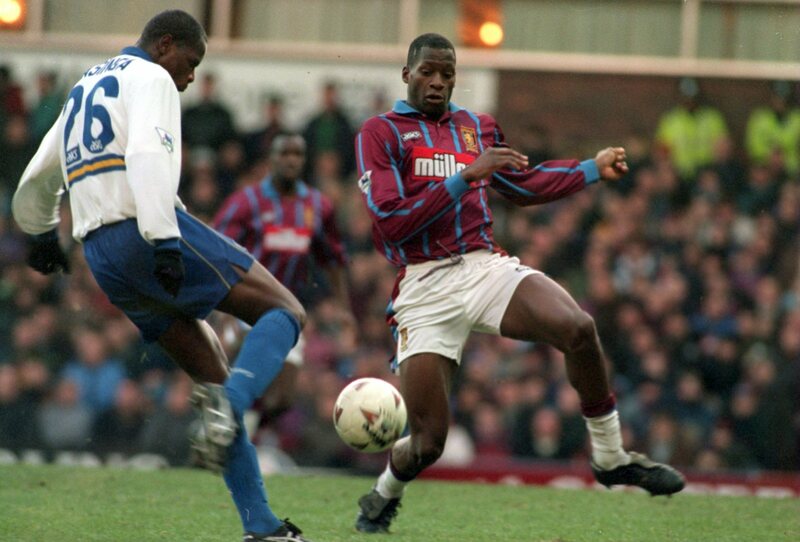 Ehiogu arrived at Aston Villa as a precocious 16-year-old back in August 1991, after then-manager Ron Atkinson forked out £40,000 to sign him from West Bromwich Albion. That was a notable sum in those days, especially considering Ehiogu had made just a handful of appearances for the Baggies. It was there that he met club legend and all-round football cult hero Paul McGrath, a mainstay of the Villa defence alongside fellow club favourite of the time, Shaun Teale. In just a couple of years, however, Ehiogu had forced his way into the team, at the expense of Teale, to form a superb central defensive partnership with McGrath that would eventually lead to silverware. 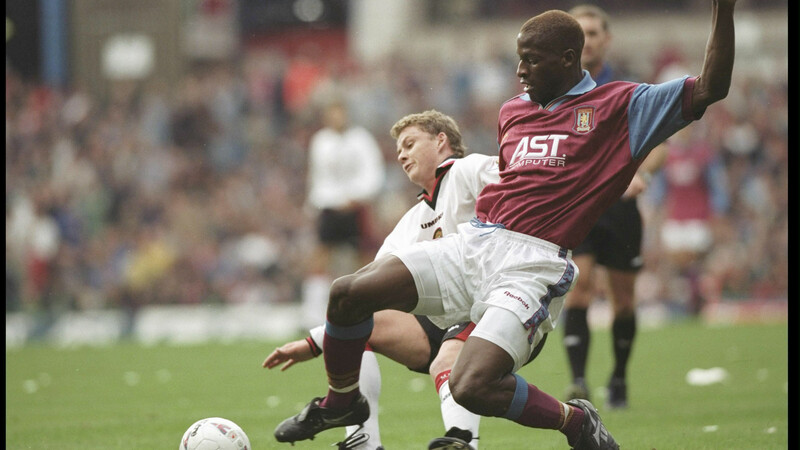 The pinnacle of that particular era at Villa Park came in 1996, when Ehiogu alongside McGrath and new recruit Gareth Southgate helped Aston Villa to the League Cup final with a 3-0 victory over a Leeds United side boasting Tony Yeboah in his Premier League pomp. That back three, supported by two wing-backs and Mark Bosnich in goal, was a key component of Villa’s success in that competition with the Clarets keeping six clean sheets from a possible eight en route to victory. Part of an exciting side that not only featured Bosnich and Southgate but also Dwight Yorke and a certain Andy Townsend, it remains the last time the Birmingham side won a major piece of silverware. Having moved to Teeside in a club record £8 million transfer, Ehiogu set about helping Boro do something they had never before managed in the history of the club – win a trophy. Reunited with Southgate in the heart of defence, Middlesbrough’s League Cup victory in 2004 was all the more impressive when you consider the clubs they saw off en route to the final at the Millennium Stadium in Cardiff – Everton, Tottenham and Arsenal. It was a win some 128 years in the making. Moving from Middlesbrough to Leeds United on loan in late 2006, Ehiogu was a calming presence in the centre of defence for the Yorkshire club at a time when the side was in free-fall. Earning praise for his composed performances alongside Matt Heath in the centre of the defence, Ehiogu was honest to a fault too, telling manager Dennis Wise that he was simply not up to the demands of playing multiple games in the space of a few days and departing when his short term deal expired. As Ehiogu’s career began to wind down, a spell with Glasgow Rangers saw the defender showcase another side of his game. Facing off against Celtic in an Old Firm Derby, Ehiogu scored his one and only goal for the club – a spectacular overhead kick that won the game 1-0 for the Gers. The goal was eventually voted Rangers’ Goal of the Season in an award voted for by the fans. Ehiogu was a great English defender. Unfortunately, he happened to be a great defender in an era of great English defenders. That didn’t prevent him from making an impression for the national team despite being limited to just four caps for the Three Lions. Having made his England debut against China in 1996, Ehiogu’s finest moment in the white shirt came when he scored and impressed all round in a 3-0 friendly win over a pre-tiki-taka Spain in 2001. If you are going to score once for the national team, there are certainly worse teams to do it against. Away from football, Ehiogu managed to do something Kevin Campbell tried – and failed – to do in setting up a successful record label. While Campbell’s success amounted to little more than a couple of albums from Mark “Return of The Mack” Morrison, Ehiogu co-founded Dirty Hit, a record label distributed by Universal Music Group and home to a variety of bands including The 1975.